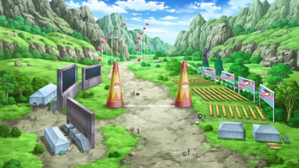 » Episode Guide » Viewing Episode: 挑戦ポケモンスカイリレー！飛べ、オンバット！！/The Pokémon Sky Relay Challenge! Fly, Onbat!! The Wind, the Egg and the Onbat!